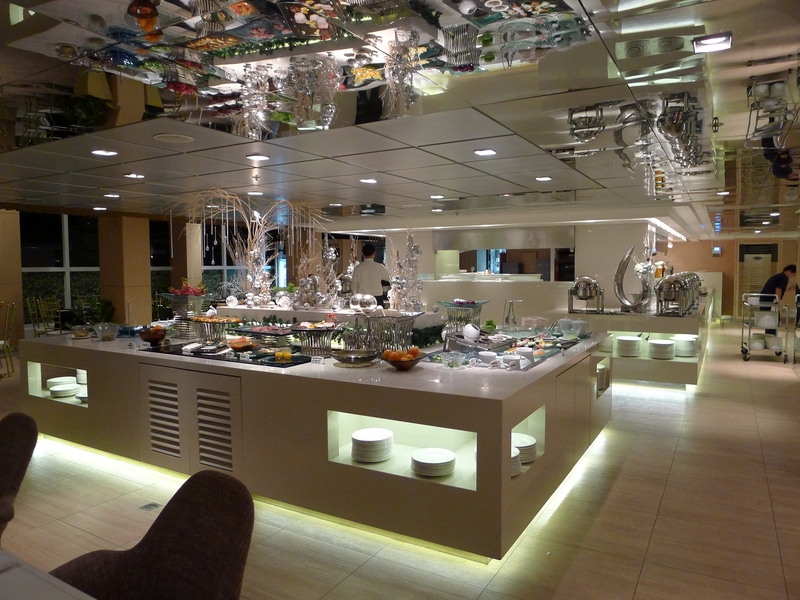 Earlier I told you that I really enjoyed Midas Cafe when our family had dinner there around October 2011. Well, it seems mom enjoyed the food also because we came back for more!!! Mom’s friend from the States stayed in Manila for a few days and she wanted to treat her in a nice place. So around the afternoon, I made reservations at Midas Hotel (Roxas Blvd). 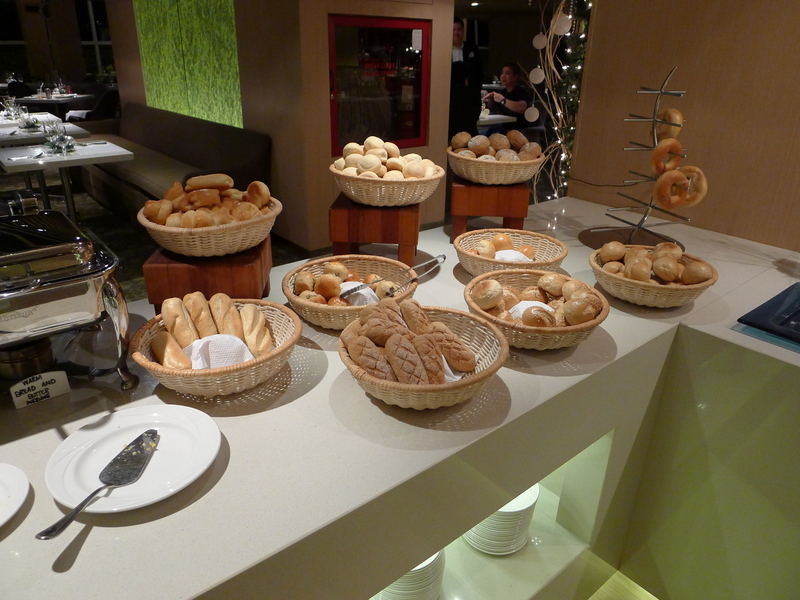 The buffet is not as overwhelming as other hotel buffet but I love the place because of the ambiance, their friendly staff…and everything taste so good! Ofcourse, as always, the first thing I will eat at a buffet are sushi and sashimi. 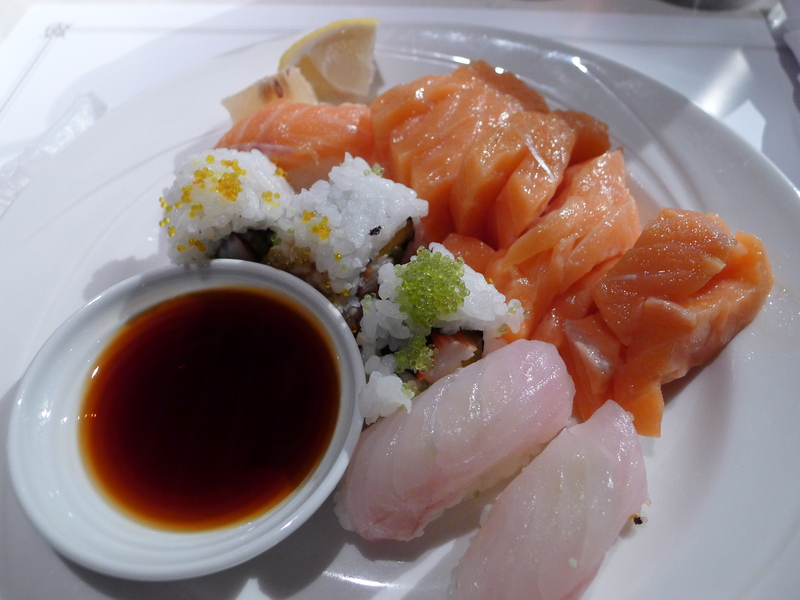 The salmon sashimi and california make were good. After a few plates, I tried their salad. 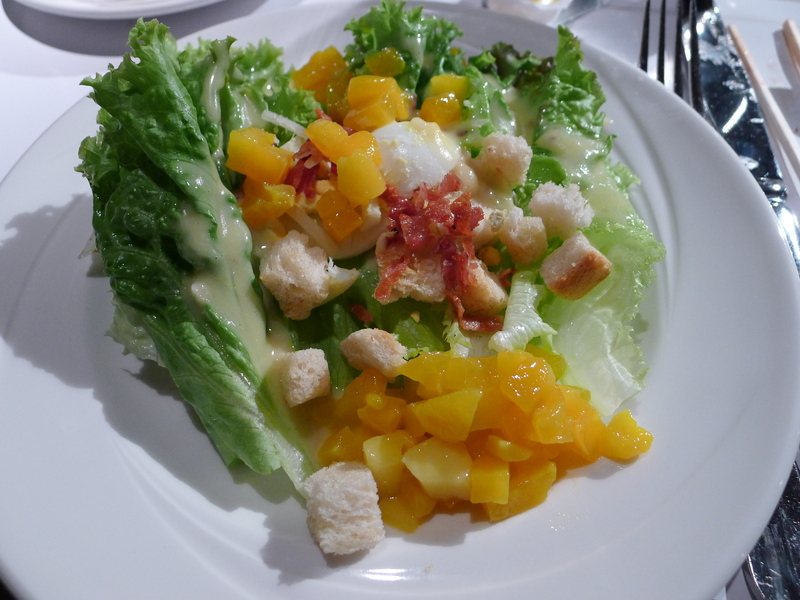 I chose to make lettuce in Caesar salad with mango, croutons, bacon bits and Parmesan cheese. I also took a bite of their pastry. Thus, I was already full. I tried a few bites of their entree and skipped ahead to dessert. 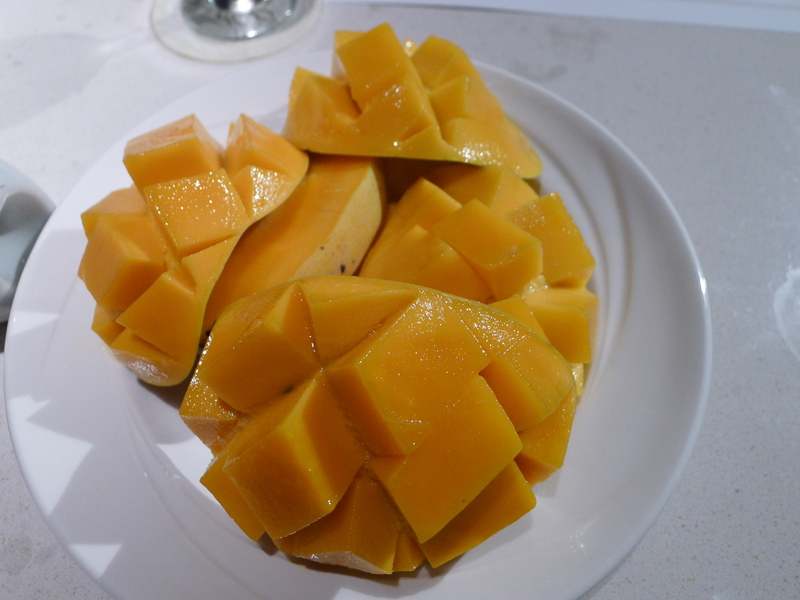 I just took 2 sticks of pineapple dipped in chocolate and ate fresh mangoes. 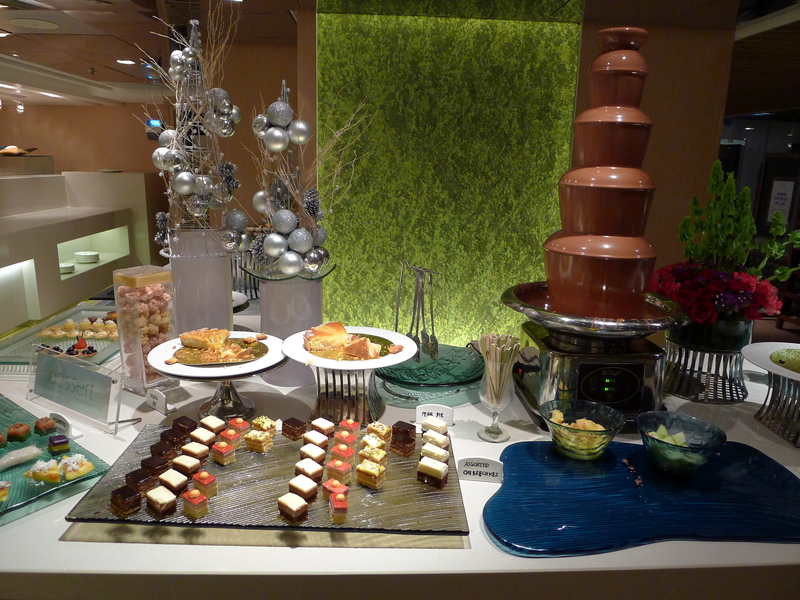 Dinner cost P1342 per person which includes unlimited soft drinks, coffee and tea. The 10% service charge and VAT are also included. Not bad right? I’m definitely sure that I’ll be back again.